Now that the New Year is upon us get out and get yourself fit. I am offering One Lucky Follower some exercise products that can get you motivated. 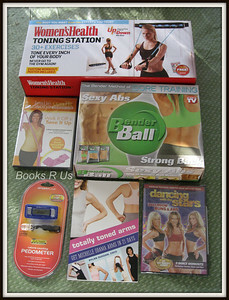 Women's Health Toning Station ($19.99)-30 exercises that will sure to motivate you. The Bender Ball ($19.99)- To help get the 6-pack you always dreamed of. Dancing With the Stars DVD ($9.99)- Buns and Tums. Pedometer ($7.00)- Experts say that you should walk 10,00 steps a day. Leslie Sansone- Walk and Tone with firm band. ($14.99) Simple and easy to follow. Totally Toned Arms by Rylan Duggan-(14.99). 3. 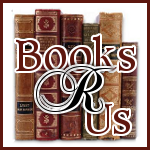 +2 Subscribe to Ginger High- Books R Us by Email. Giveaway ends 1/22/2011 at 11:59 PM Eastern. Disclaimer: This is a self-sponsored giveaway and I am not promoting the companies. I will be shipping the items to the winner. Please read Disclosure Policy.